BMW enthusiast repair shop in Houston, TX. 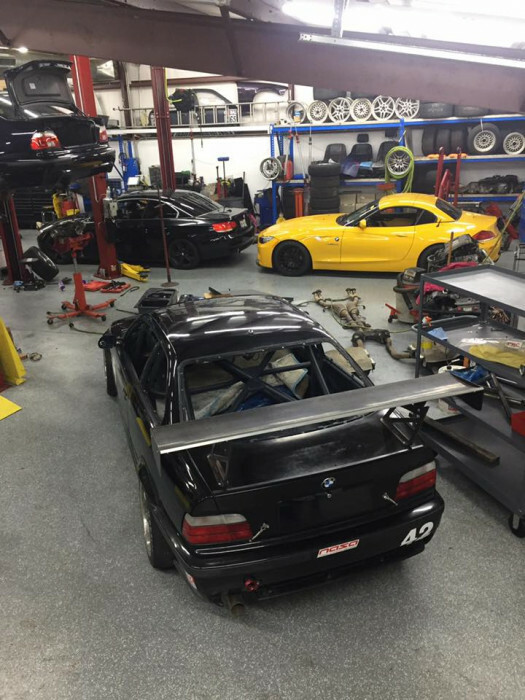 We provide maintenance, repairs and upgrades for your BMW. We also offer race prep and roll cage building to your race series specs. Schedule your next north Houston area BMW service appointment with us today! I've been to quite a handful of different repair shops, trying to locate a reputable and good quality place, before I found TMJ Bimmers. I can tell you, I don't believe I've been anywhere with the the knowledge and integrity that this shop carries itself with. Todd really knows his stuff, and is quick to respond and keep me updated on the status of my car. I've had body work done, and also some mechanical work performed, and it was done with high quality and at a reasonable price as well. I never once was haggled to get unnecessary repairs, and I was actually given honest feedback on what should be done, with my best interest in mind. I would definitely recommend TMJ to any BMW owner! Awesome service, these guys always know what they are doing. Diagnosed my car and fixed it in a timely manner. Quality parts and service. I take all my cars there to get routine service. Highly Recommend his work. 2 thumbs up!! If your BMW is out of warranty and you live in Houston, this is the place. Todd is super knowledgeable, nice, and fair. I'll be going back for sure. 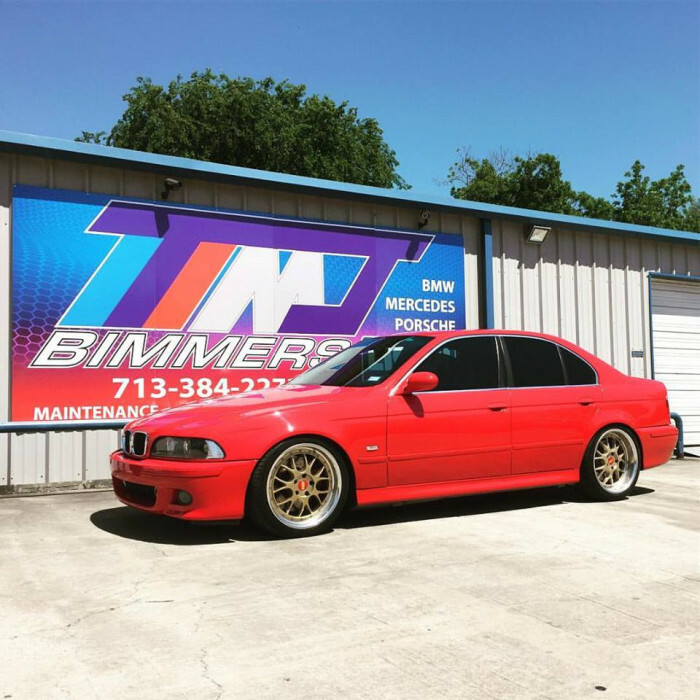 I have been visiting TMJ Bimmers for over 3 years since I visited a BMW dealership multiple times and they failed to identify the cause of leaking coolant, leading to me being stranded over a 100 miles from Houston, being towed all the way back and having to get water pump, thermostat, etc. replaced. Todd and his staff are exceptional. I have had everything from spark plugs, oil changes, brake pads and maintenance, replacement of gaskets, replacement of seals, 02 sensor, realignment, door lock actuators, and much, much more. They even took care of fixing problems caused by the above-mentioned dealership right after I first bought my car. I will never take my vehicle anywhere else!!! Many thanks to Todd & Company! Long overdue review, but I might as well leave one since I've been recommending TMJ Bimmers to several people lately. Todd is the MAN! He really knows his BMW's and has experience repairing daily drivers and building track weapons for maximum BMW enjoyment! 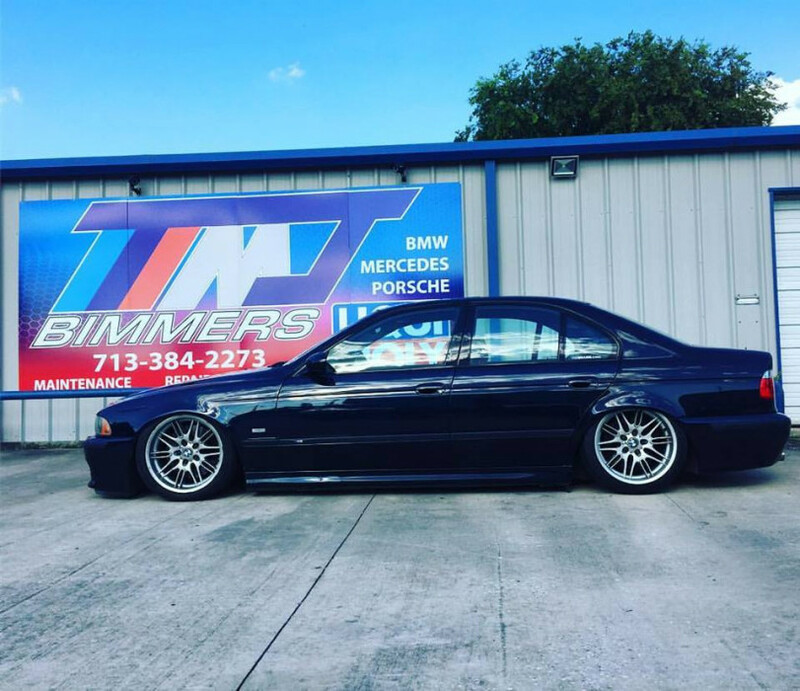 If you need your Bavarian machine worked on, Todd and the guys at TMJ Bimmers are the ones you need to see. Thanks for the review Neal. Awesome words to hear from a fellow enthusiast! We hope to continue to earn your business and your referrals. I have been to TMJ Bimmers twice for service on my car. The personnel is courteous, professional, and very knowledgeable. When I took my 335i in for service in November, per appointment, the staff was prompt and my car was ready as promised. I was given a list of problems that needed attention in the order of importance, and the cost for each service. I would definitely recommend this shop. Small town Texan customer service for a European brand. There's a reason these guys have 5 stars. Todd and everyone else at TMJ Bimmers have the customer service and heart that the dealers and other BMW shops lack. I haven't met anyone that has been as helpful as Todd has been when it comes to everything BMW. Whether you're buying, fixing, or modifying your ride... I wholeheartedly endorse TMJ Bimmers. If you own a BMW and you're not taking it to TMJ, you're doing yourself (and your wallet) a major disservice. Great service, extremely knowledgeable, and extremely reasonable. I’ve been working on cars my whole life and BMWs for the last 15 years. I lost many of my tools with Hurricane Harvey and the rest are in complete disarray - as is my garage, so I brought my M3 to TMJ Bimmers for a new clutch. I was impressed with their knowledge and passion for European cars. Their service was low pressure, clear and transparent. Todd showed me around the shop and some of his other projects and kept in close communication with me during the whole job. It was a real pleasure and I will bring my cars back. 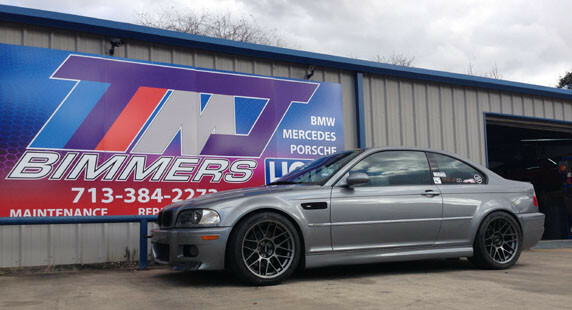 If your BMW needs work, this is the best place in Houston! Thank you TMJ Bimmers for fixing my BMW. This place has great customer service and quality work. My BMW runs as new again. Highly recommend! 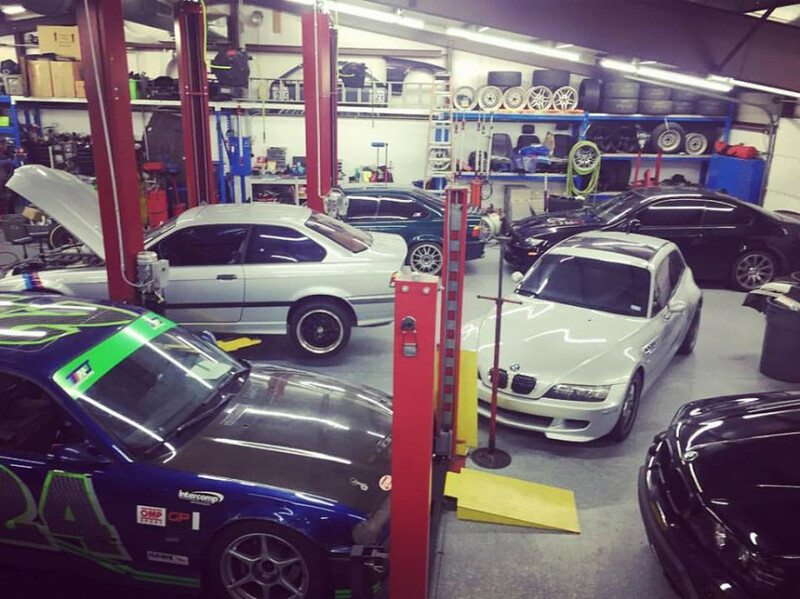 Whether it's an oil change or transmission work, TMJ Bimmers is your one stop BMW repair shop. They can do it all. Reasonably priced with a friendly staff. Customer since 2013. Todd at TMJ Bimmers has always come through for me when it comes to my car. I would definitely rate his services & professionalism an A+. He is always a pleasure to deal with. Excellent service!